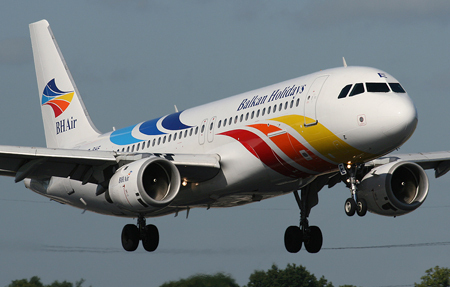 New addition to our flight programe - one-way UK to Bulgaria on sale now! On sale now, for a limited time only - one-way flights from the UK to Bourgas & Varna airports! To check availability and prices simply follow the link above. To make your booking click on the quoted price to book online, or alternatively call our Reservations Department on 0845 130 1114. If you go ahead and make your booking online you will receive a further 7,5% Online Discount. Listed prices include one piece of checked luggage and one piece of hand luggage for each passenger. If booking within 10 days of departure, Late Booking fees might apply. Keep checking our website for new updates. Please do not forget that additional seats are available on request, so if your preferred date and flight does not appear on our website, do not hesitate to call our Reservations Department on 0845 130 1114 and a member of staff will be hapy to look into your enquiry.